So there they are. 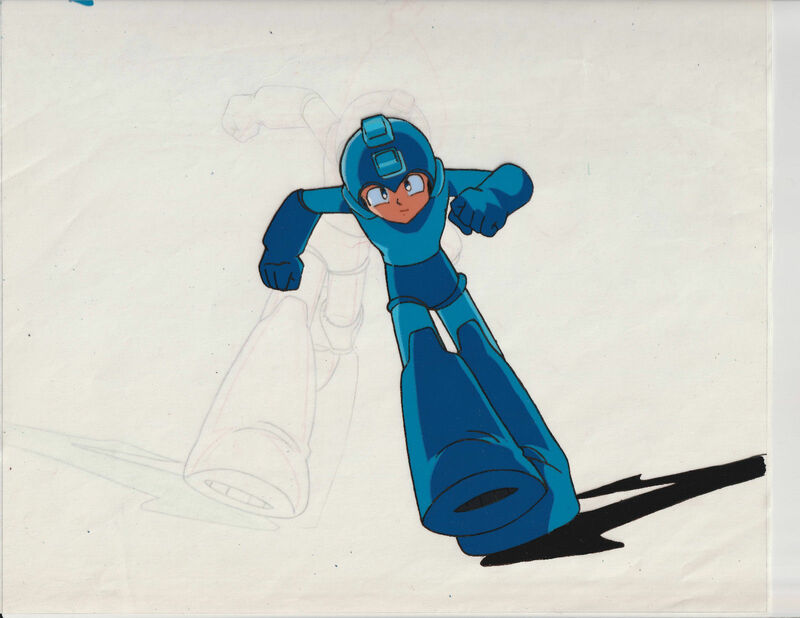 Two of the cels – Mega Man and Duo – are actually available to purchase right now if you've got the Zenny. Otherwise, happy bidding. They're real treasures. I hope she has a print from one scene I loved, personally. I'm willing to fight tooth and nail for that! Don't worry, our sniper isn't getting that Mega Man one, because I already did. Is one person buying all of these cells? Even the last batches? Good job though, that Megaman print is the best one released yet I think. I'm fine. After getting that Pharaoh Man one, I'm done with these! I'd actually like to see that collection of yours. Over four walls and shelves? I know of about four collectors that have Mega Man collections of such magnitude. You may very well be the fifth. However those cels are definitely real. 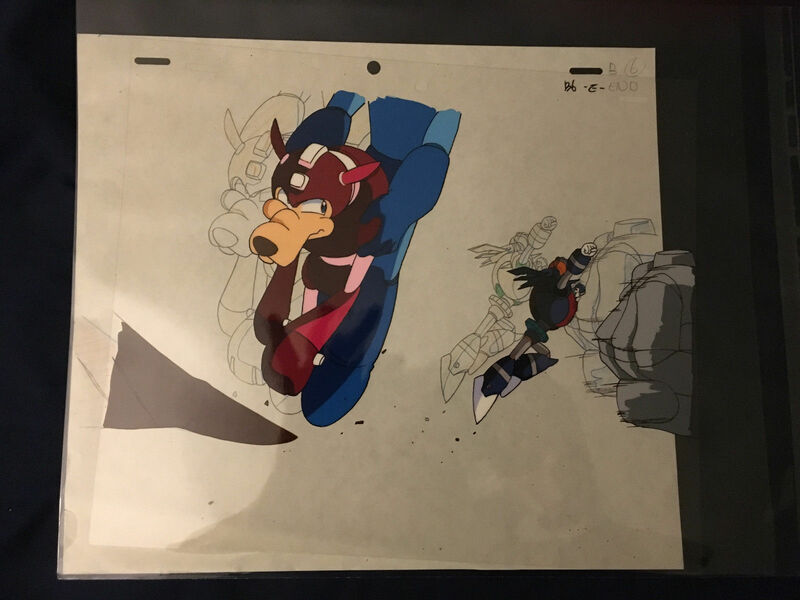 There's really no way you can duplicate or falsify an animation cel since there's multiple pieces and layers to them. Some of the cels even have studio watermarks/logos and animator notes on them. I doubt someone would go through that much work to make so many. jeez,guys sorry for getting most of the cells here,mm8 is my fav game of all time ,i'd curse myself if i don't above and beyond for the things i love no matter the cost. Yeah well some of us want them too, man. Can you please stop? You got the cash the burn and if you're not a scalper I say more power to ya. One, maybe two should be enough to satiate the collecting itch. Especially when you're spending several hundred dollars per cel. Mega Man 8 is probably my favorite classic Mega Man game and I am really trying to net just one of these for my collection. It'd be a bright highlight. I bid 350+ on rush and $455+ on gutsman and didn't get either. Felt like that was a lot, missed pharaoh too. They're very nice but the same guy keeps getting almost all of them.